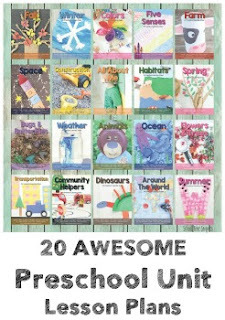 Hand print crafts and activities are favorites of mine! I love the sweet memories that they remind me of; tiny hands are just so precious. Before I know it, they'll be as big as mine and not so cute! Ha! We've made handrpint snowmen, a dolphin, a turkey, garden, lions, a birthday cake, Fall trees........ and now, reindeer! Re-sharing the Thanksgiving Poem my son did two years ago was a big hit and thought I would unleash my inner poet and do something similar with a reindeer theme. Although, this time around I didn't have my son practice writing and/or spelling-- although, you could definitely do that! Thanks to a sweet reader, the Reindeer Poem is now available in Spanish, too!! 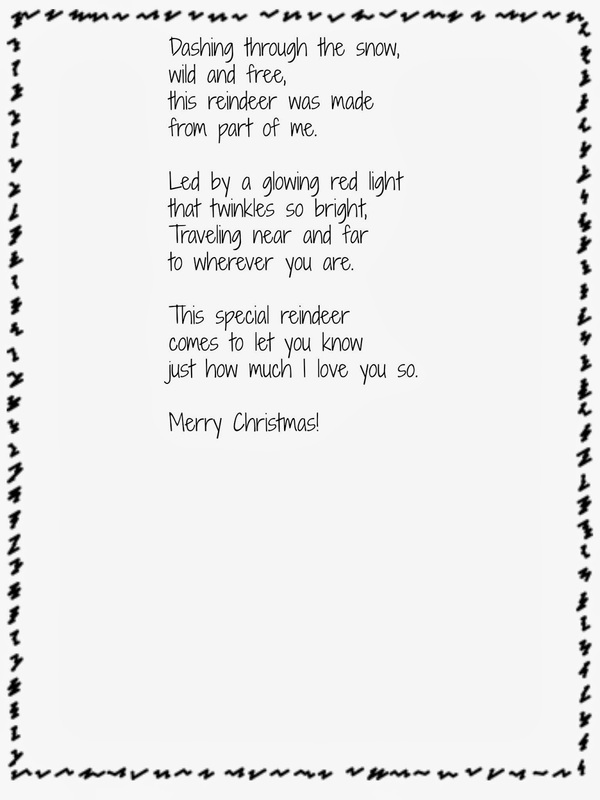 Click to download a copy of the Spanish Reindeer Poem. In the empty space below, have your child make a reindeer using their handprint. Apply a liberal amount of brown paint all over their hand and have them press their hand onto the blank space under the poem. Add a googly eye and red sequin for Rudolph's nose. You can also color in black hoofs, a smile, and antlers with a sharpie marker. 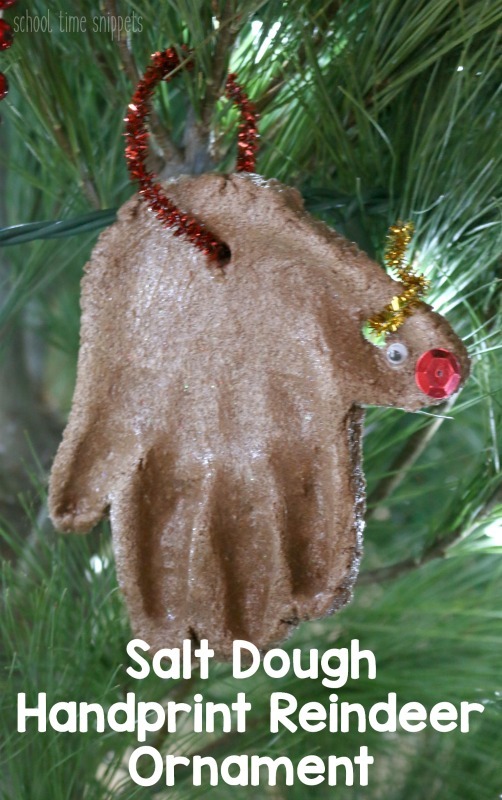 And, I must have been in a very festive mood while making the handprint reindeer with paint because afterward we made some Salt Dough Reindeer ornaments with our hands!! And, I must say they are pretty adorable!! Begin by mixing 1/2 C Salt and 1/2 C flour. To make brown reindeer, add in 1 TBS. cocoa powder . Add 1/4 C water (give or take)-- add slowly... you do not want it too wet. Mix & knead til dough forms. Roll out the dough, not making it too thin and make an impression of your child's by having your child press their hand into the dough. Cut around edges with a knife. p.s. do all this on a baking sheet! It will make the cleaning process so much easier! Bake @250* for 2 hours. Let it cool, then coat it with Mod Podge for a nice shine. Decorate with googly eyes , pipe cleaner antlers , and a red sequin nose ! Add a piece of ribbon and hang this adorable reindeer on your tree for all to see!